In a world of continuing financial volatility, this book critically evaluates the oft-cited claim that US firms and the US government attempt to open emerging markets in economic distress and acquire valuable industrial and financial assets. Focusing particularly on Korea and Thailand, the author examines the degree of market opening, the roles US actors played in this process and the level of foreign firm activity in the years after the Asian crisis. Justin Robertson finds surprisingly little coherence between the strategies of US firms and US policy-makers. At the same time, the book downplays European investments, concluding instead that the decade since the Asian crisis has reaffirmed strengths of US capital, particularly in some of the most important sectors of the global economy. Investment banking, private equity and subcontracting are significant new features of US-Asia economic relations. 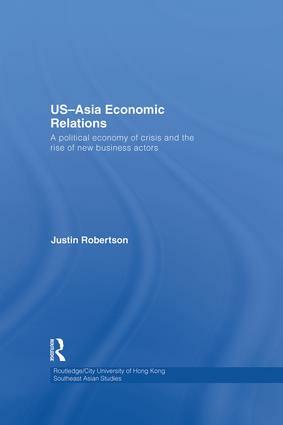 Providing a sophisticated understanding of US interests in Asia, especially in terms of the politics of finance capital, and including a wealth of empirical data on the US and Asian political economies, this book will be invaluable for students and scholars of international political economy and Asian economics and politics.